Natsumi is 18 years old and she’s a student. 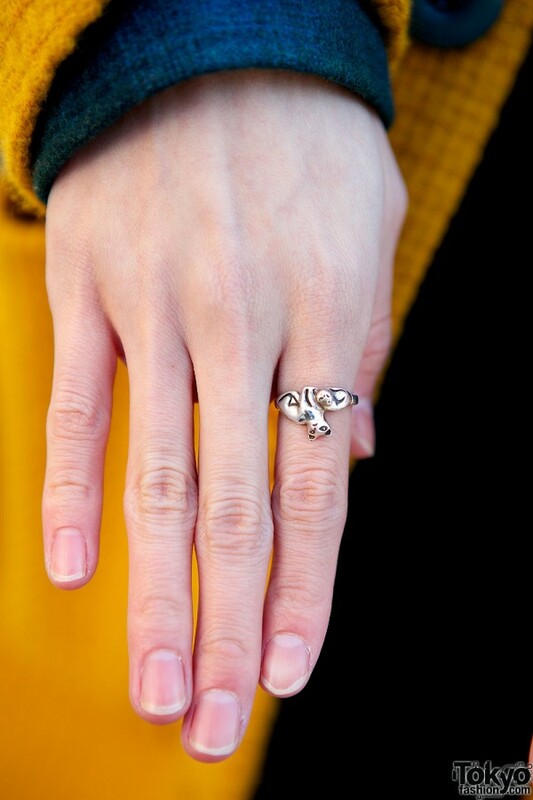 We loved her short Japanese pixie cut, mustard coat and round glasses when we spotted her on the street in Harajuku. Natsumi is wearing a midi dress from Comme Ca Du Mode over a blue shirt, with a coat from Didizizi. 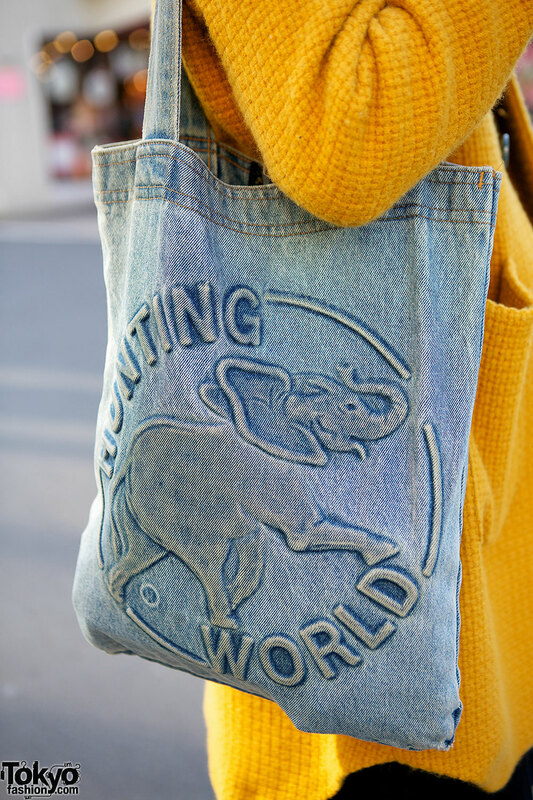 Her denim tote bag, with a printed elephant, is from Hunting World. She is also wearing white houndstooth tights, socks and Haruta loafers. 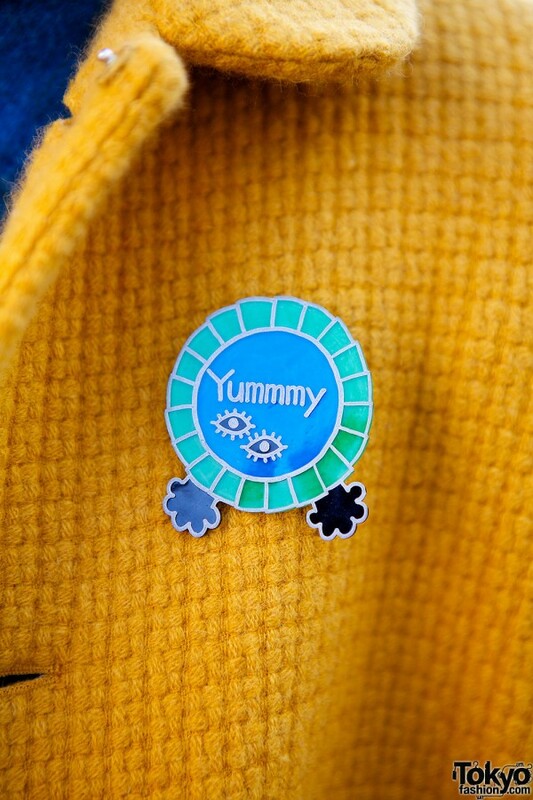 She accessorized with round, oversized glasses, a “yummy” pin, a small geometrical necklace and a cute ring, and she told us her accessories are from Aquvii. Natsumi is active on Twitter. 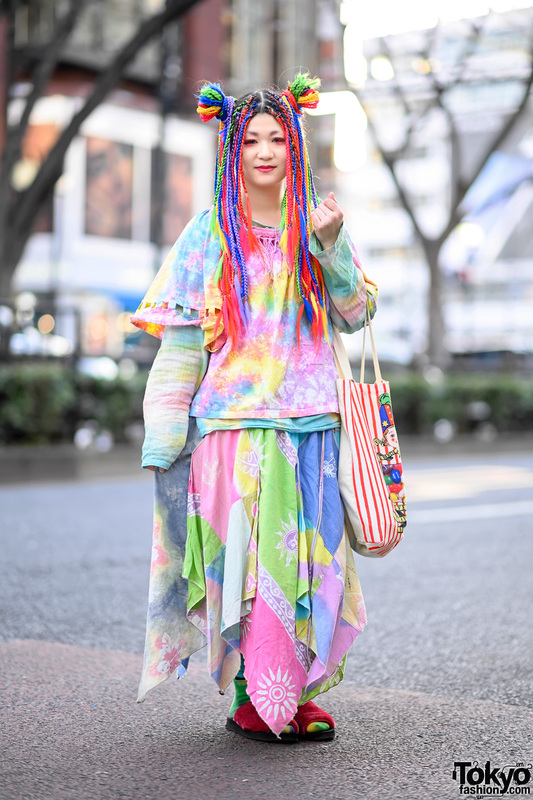 She likes to do her shopping at I am I, and her favorite band is Big Bang. colours i like…well done girl! Love the pops of blue with the socks, pin and shirt! 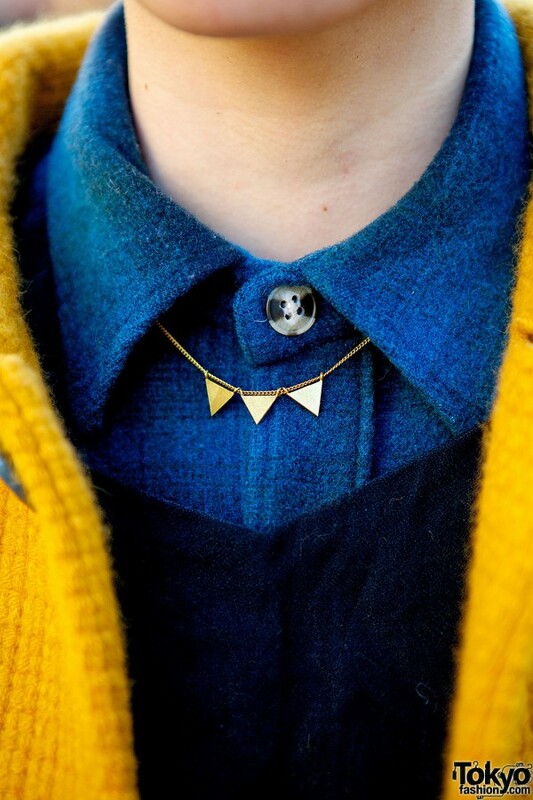 Nice mustard coat, I have a fall season feeling…. I want to marry her and steal all of her clothes, accessories.. and her style, if possible. teal socks, white houndstooth tights, loafers! awesome!